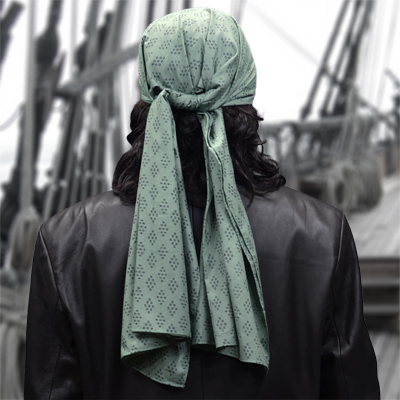 This is a screen accurate replica of the bandana wore by William "Will" Turner, Jr. (Orlando Bloom) in "Pirates of the Caribbean At World's End / Dead Men Tell No Tales". The size is approx. 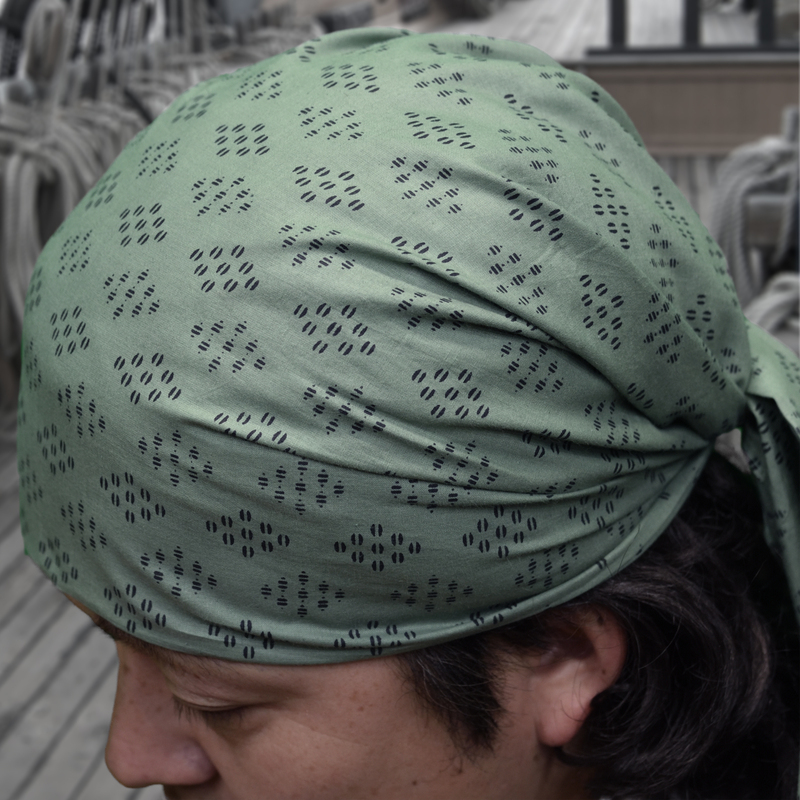 70cm x 150cm (27.5" x 60"). AZO FREE, 100% cotton, made in India, new never worn. The standard shipping & insurance cost is US$8 to most countries (7-11 business days). Express mail is $12 to U.S./Canada(2 business days), $18 to UK/EU, $13 to Asia (3 business days).